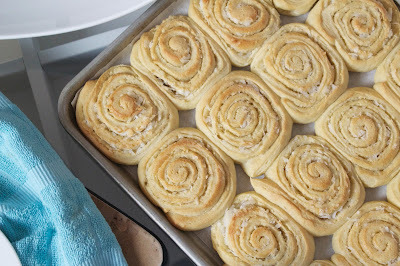 This recipe uses a lot of butter compared to my regular rotation of bread recipes but it creates a beautifully soft dough and the finished bread and wonderfully light and fluffy while still richly flavored. 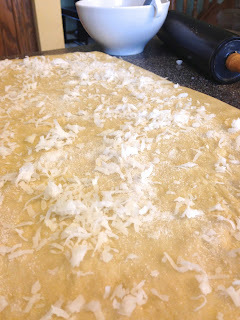 For the filling it calls for sprinkling with sugar as well as the coconut. A few weeks ago I threw a vanilla bean pod in with a few cups of sugar and I opened it up today to smell it for the first time and I had to use this flavored sugar instead. It added a light vanilla flavor to the bread that I thought was a perfect compliment to the coconut. 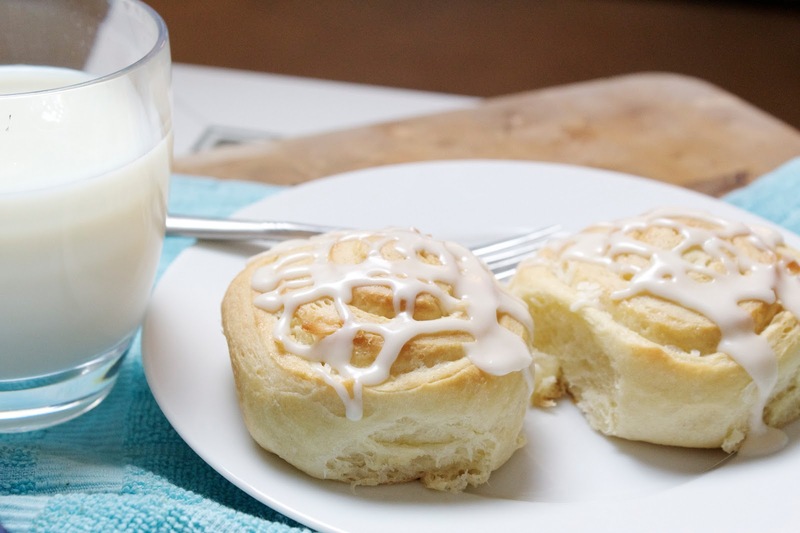 Combine yeast, 1 cup flour, and other dry ingredients. Heat milk to 120°-130°F. Combine dry mixture, milk and butter in mixing bowl with paddle or beaters for 4 minutes on medium speed. Add egg yolks; beat 1 minute. Gradually add remaining flour and knead with dough hook(s) 5 to 7 minutes until smooth and elastic. Place dough in lightly oiled bowl and turn to grease top. Cover; let rise until dough tests ripe. Divide dough into 2 parts. 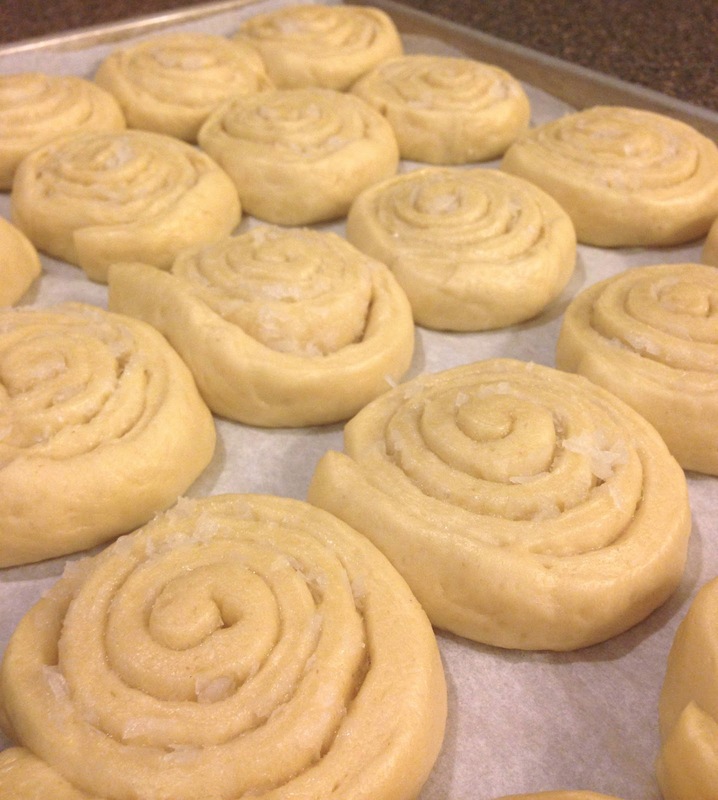 Refrigerate half of dough until ready to use. On lightly floured surface, roll half into a 12 x 9-inch rectangle. Brush with 1 TBSP melted butter. Sprinkle with 2 TBSP sugar and 1/4 cup coconut. Starting with longer side, roll up tightly. Pinch edge to seal. Cut into 12 slices. Place on greased cookie sheet. Repeat directions with remaining half of dough. Cover; let rise until indentation remains after touching. Bake in preheated 350°F oven 20 to 25 minutes. Remove from cookie sheets. 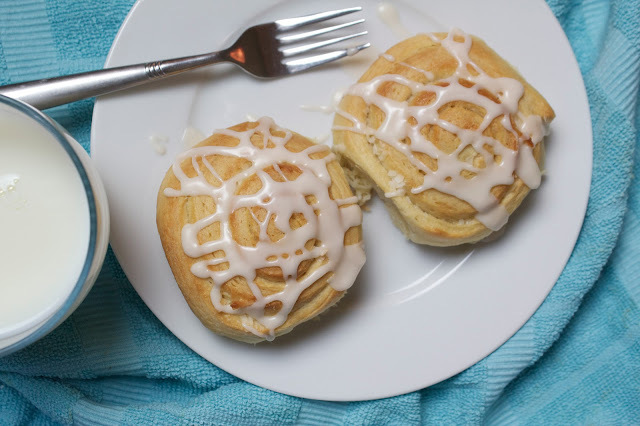 Drizzle with Powdered Sugar Glaze; serve warm. Sounds delicious--thanks for sharing the recipe. These looks so soft and fluffy and yummy! I'd love one for breakfast!